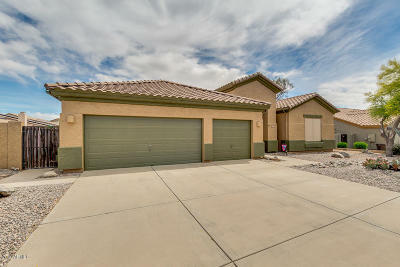 This beautiful home in Copper Ridge with quality 2x6 construction is the perfect place to call home. 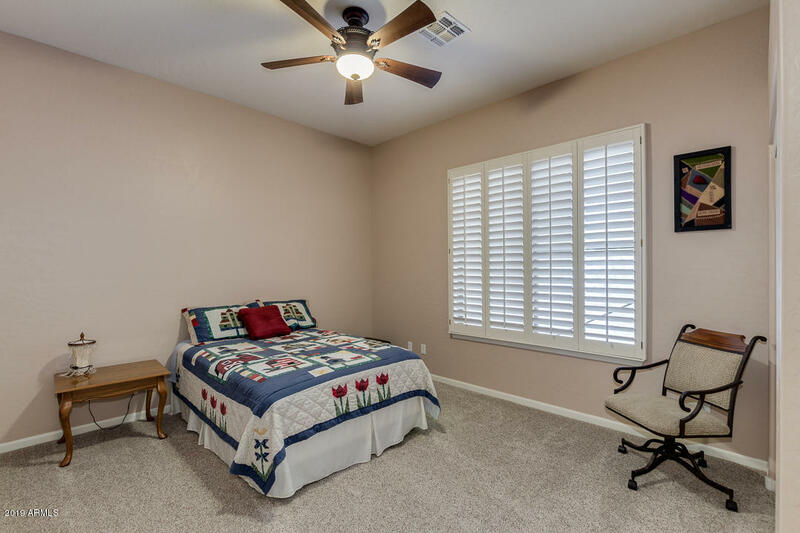 With new roof, new in 2017 AC units, commercial grade water softener, upgraded appliances and more, you can just move in and enjoy! 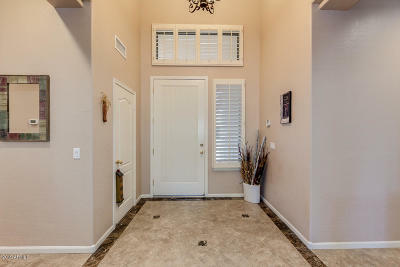 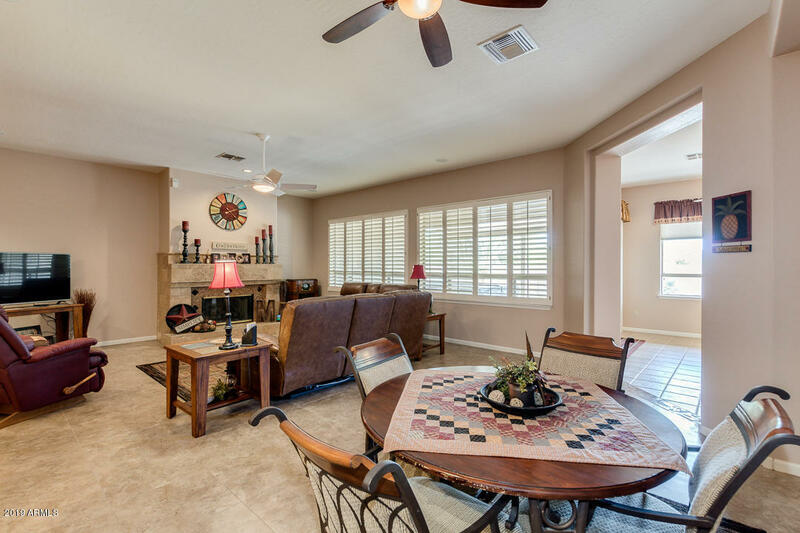 Spacious floor plan features lovely entry foyer, oversized living and dining, big open kitchen and split bedrooms. 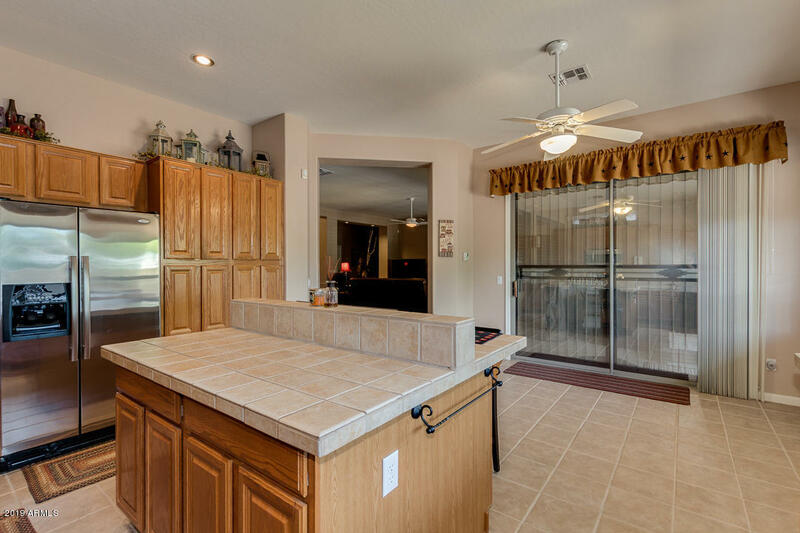 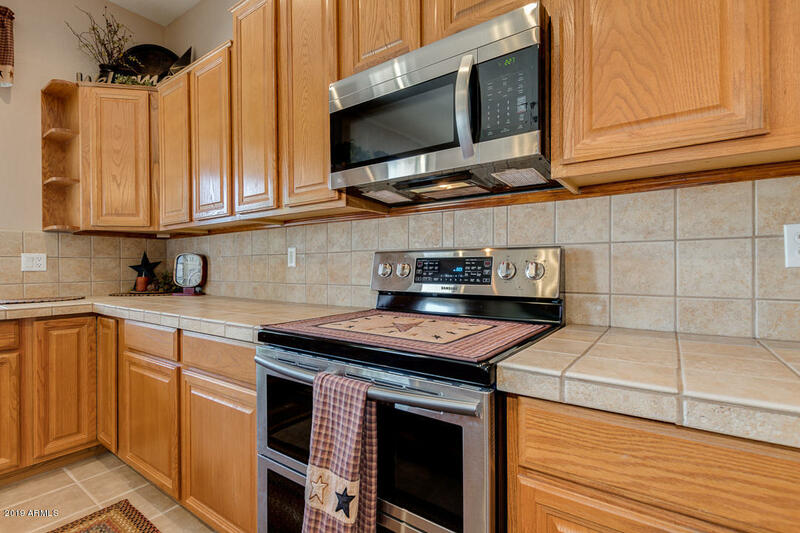 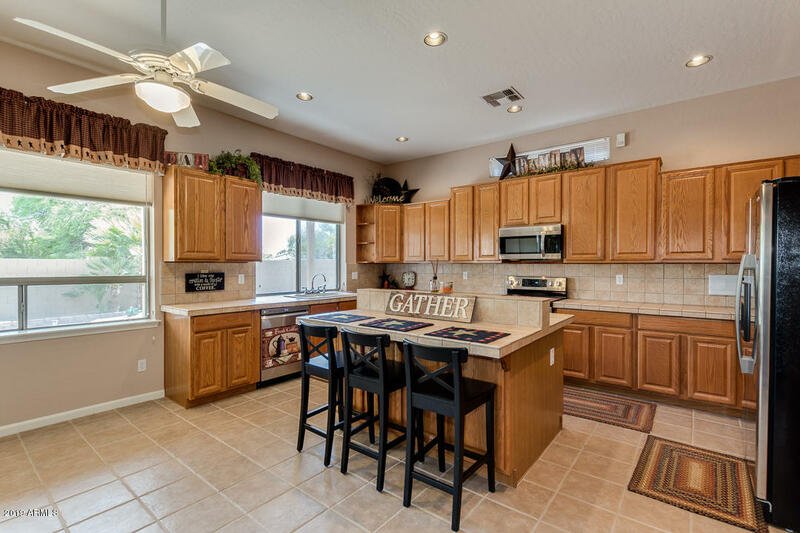 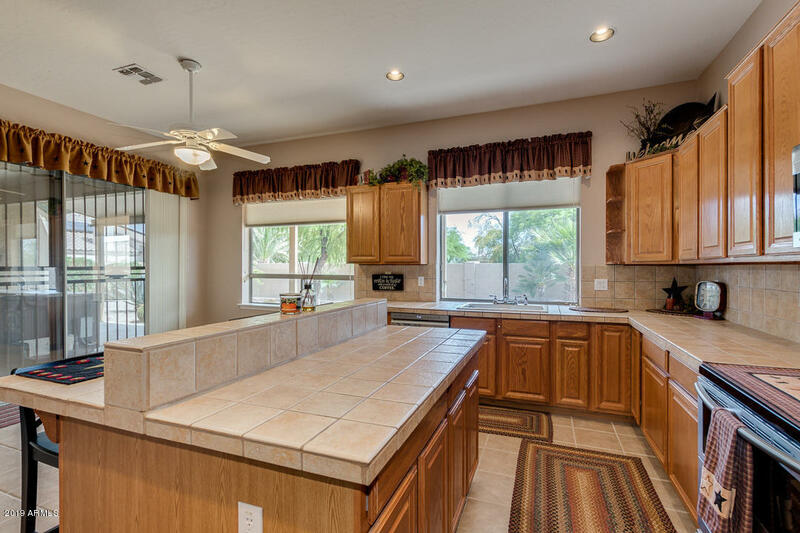 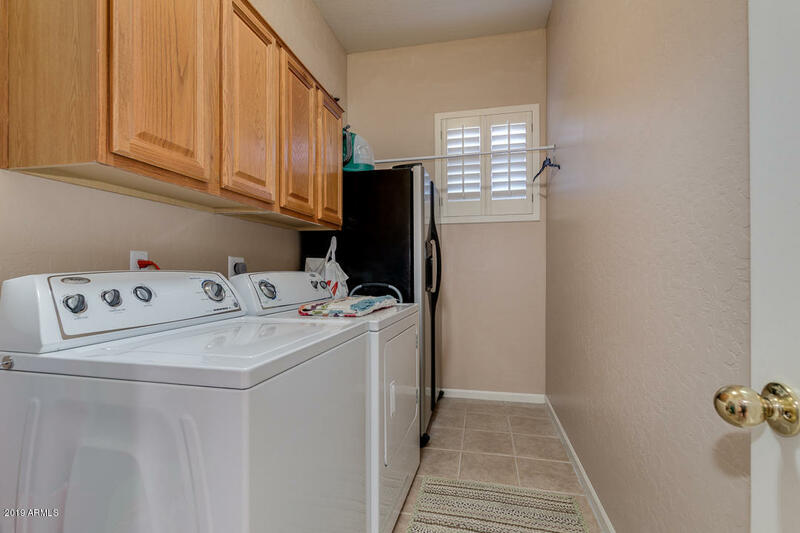 Kitchen has plenty of cabinets for your storage needs, solid surface counters and back splash, island breakfast bar, updated stainless steel appliances, breakfast nook and is so light and bright! 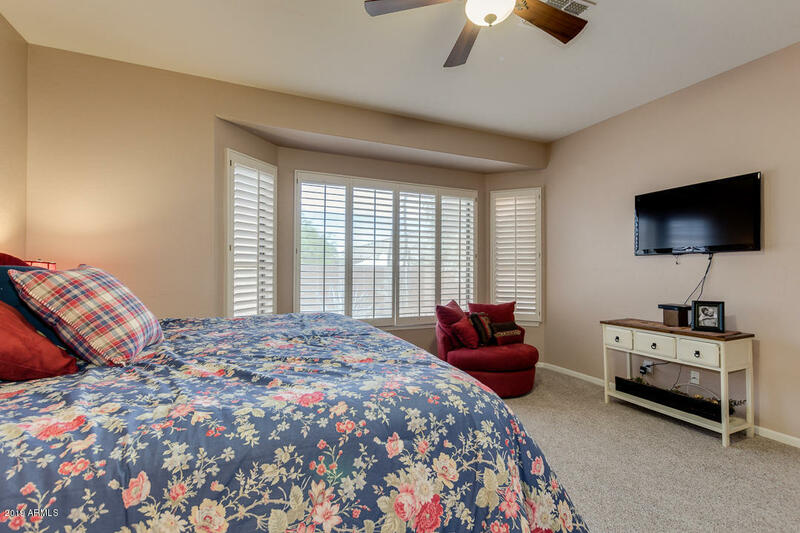 Large owner's suite is so pretty with big bay window, private exit to the back patio, amazing bathroom and big walk in closet. 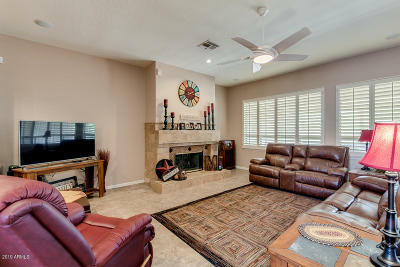 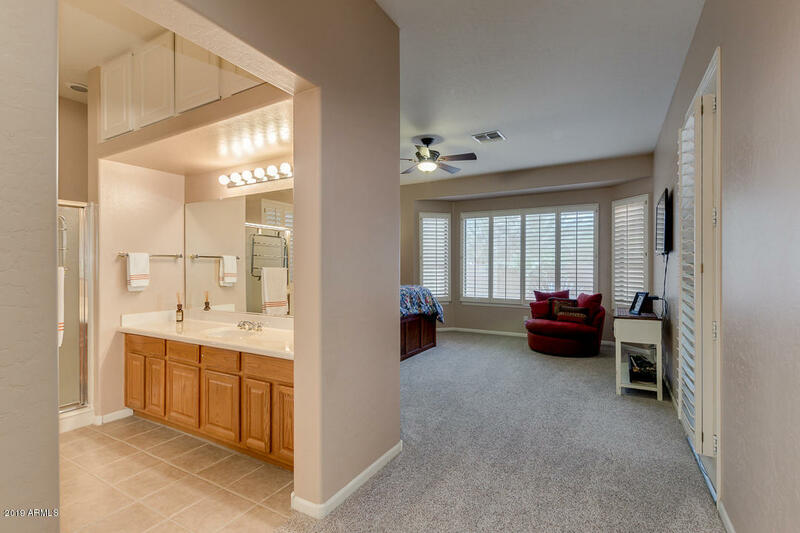 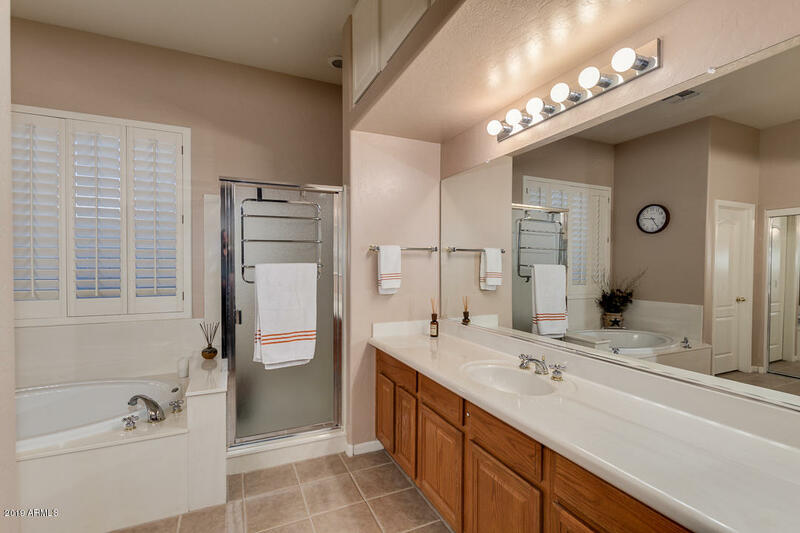 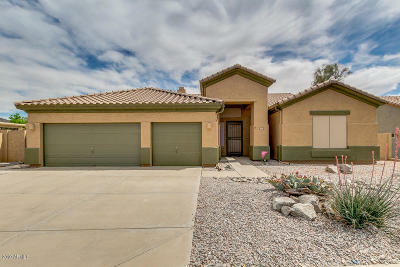 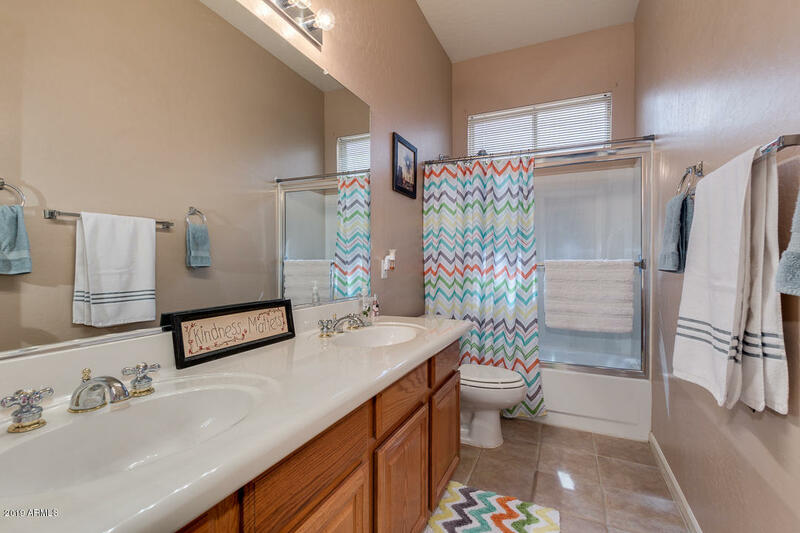 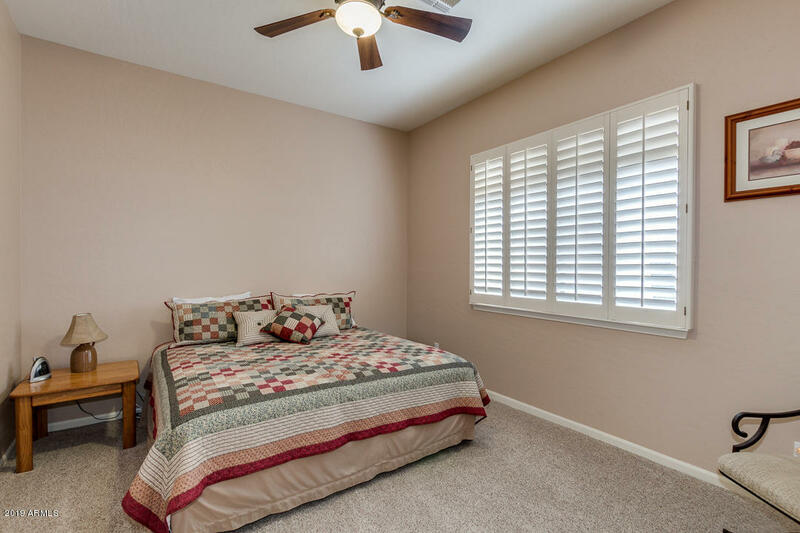 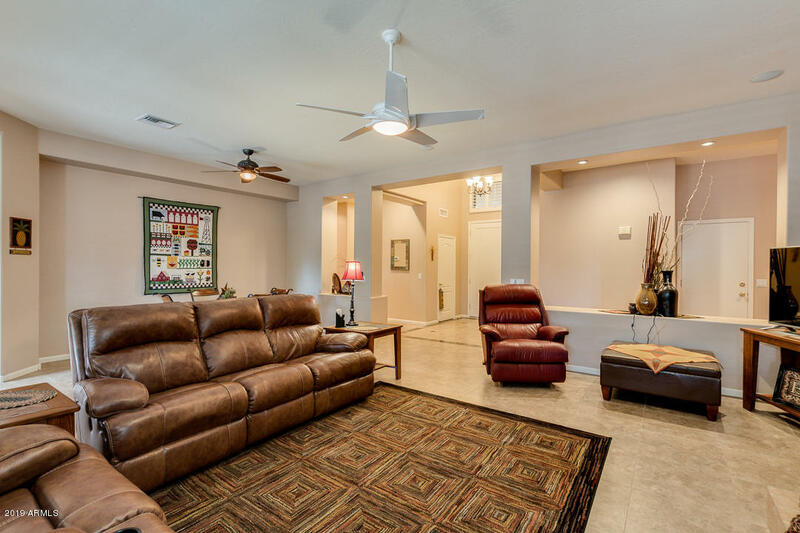 Tile floors throughout with plush carpet in the bedrooms, custom interior paint, ceiling fans, wood...see more window sills and so much more. 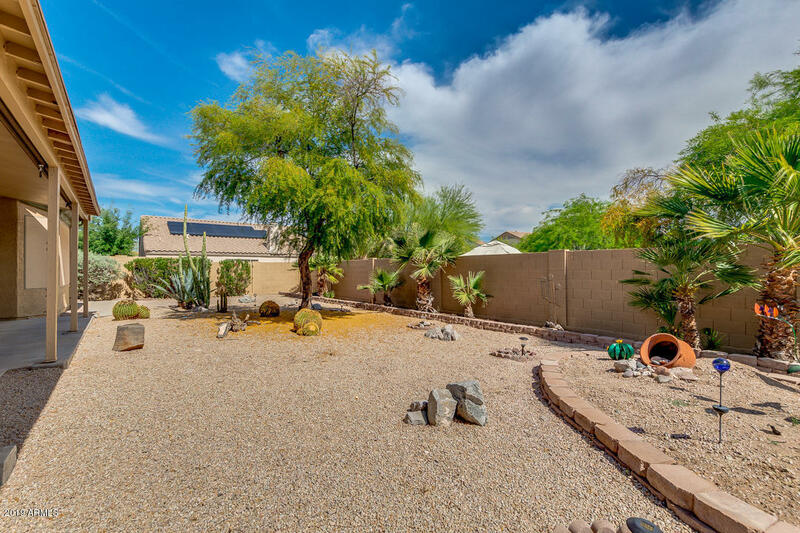 Large, low maintenance back yard can easily accommodate a pool, should you desire. 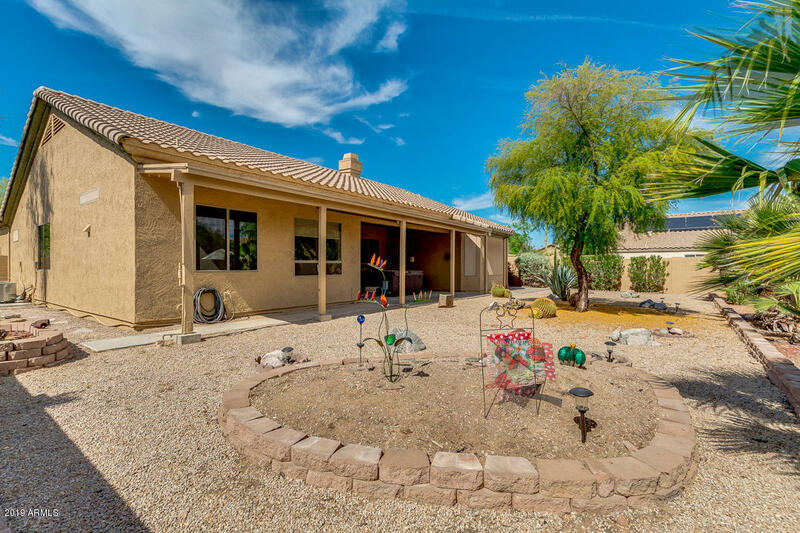 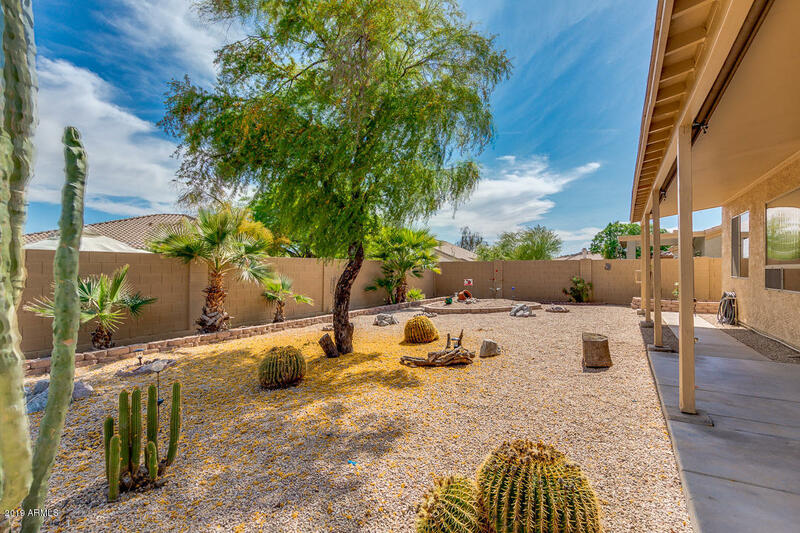 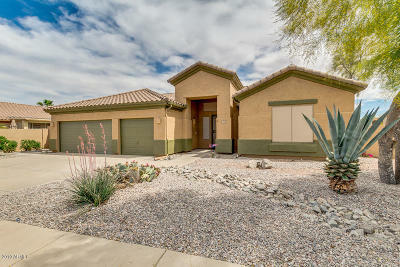 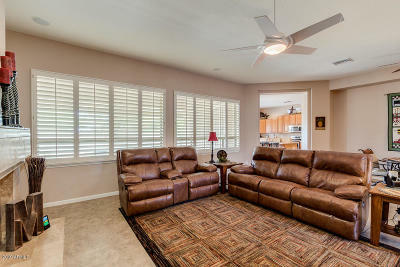 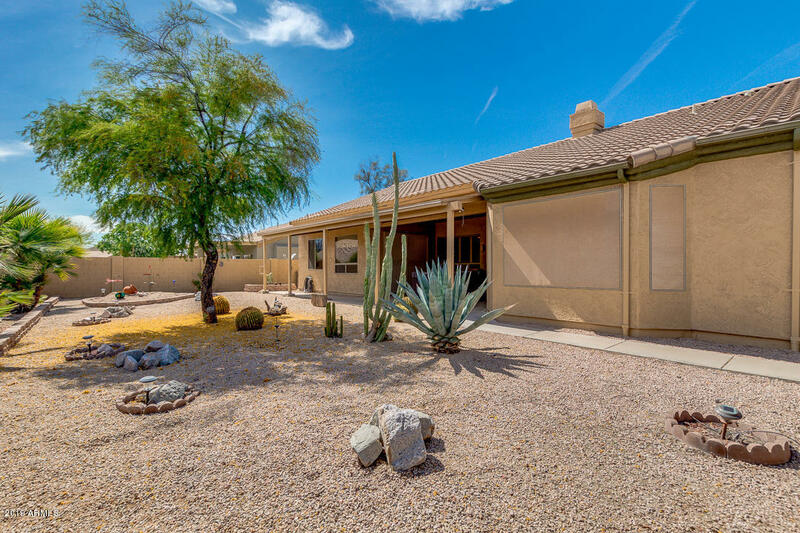 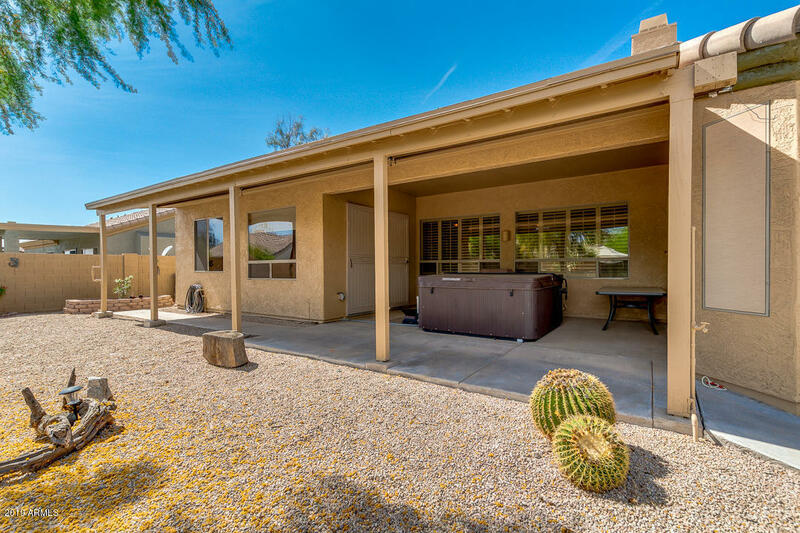 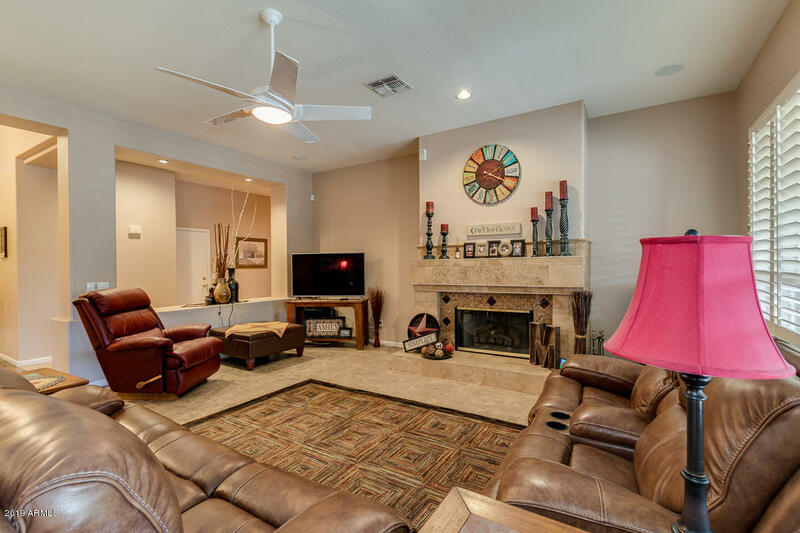 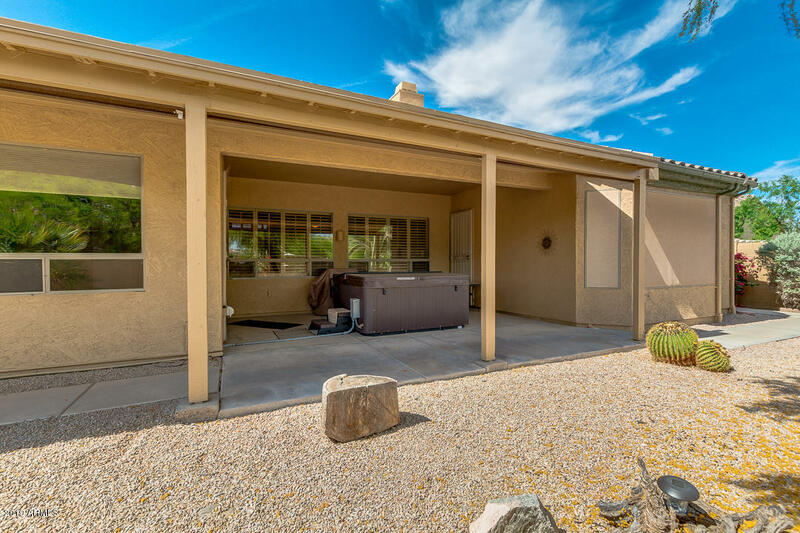 Under roof covered patio is the perfect " living room" to enjoy the fabulous outdoor Arizona lifestyle. 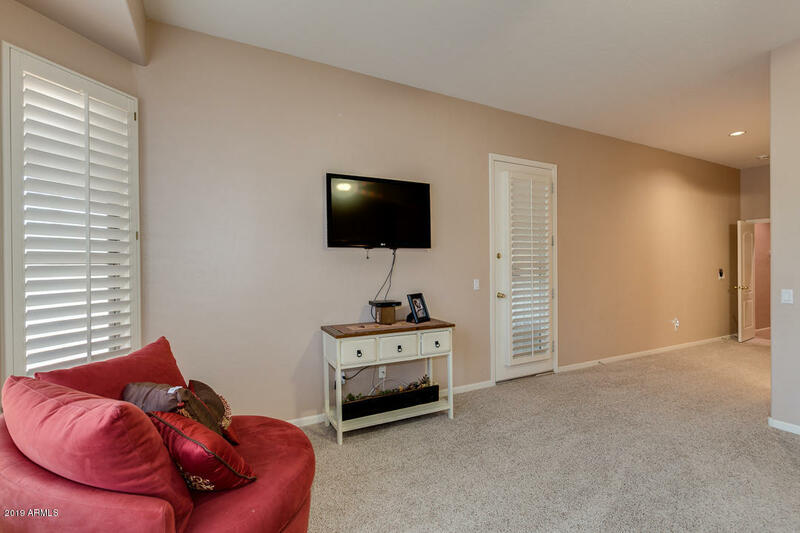 The three care garage gives you plenty of room for your vehicles, big toys and more storage! 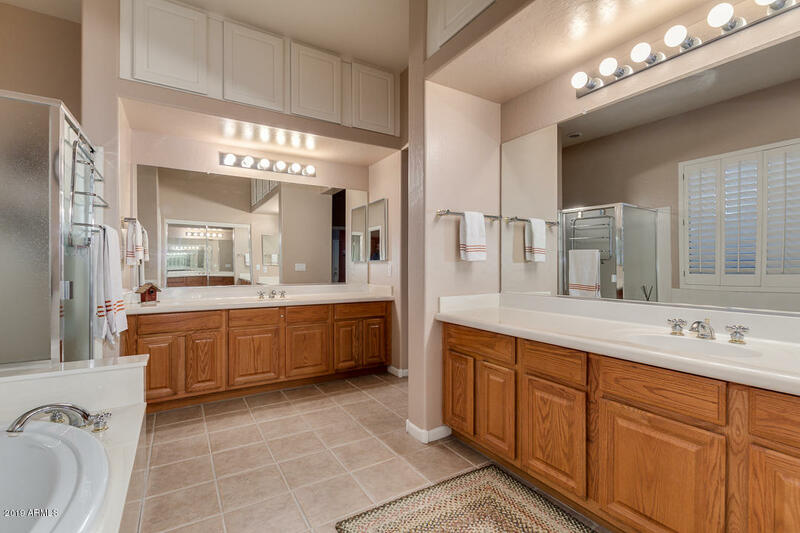 Close to North Lake which offers serene walking paths, catch and release fishing and non-motorized boating, you can enjoy lake living at its best. 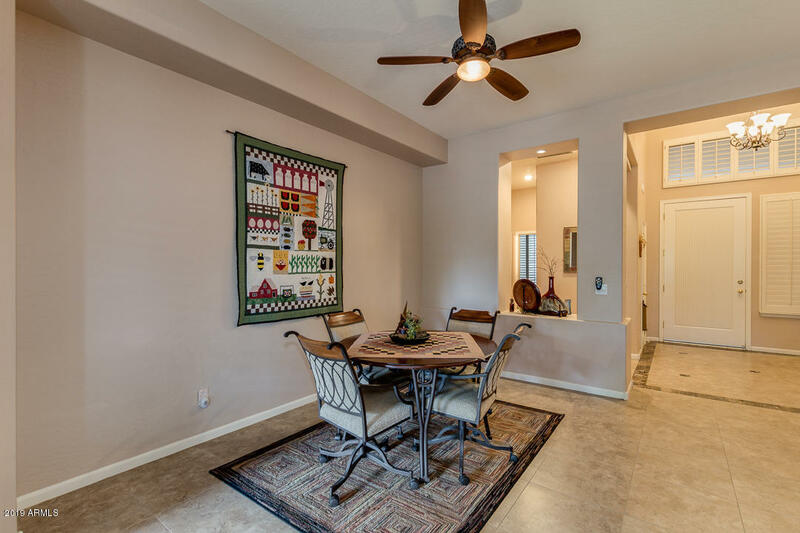 Near the front of the community you will have super convenient access to the Starpointe Residence Club and Mountain Ranch Market Place. 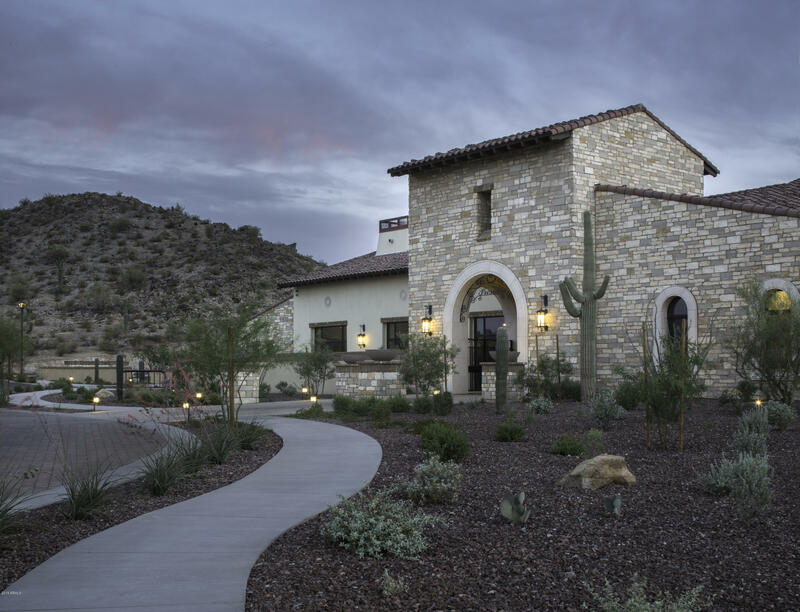 The Master Planned community of Estrella offers resort living and an abundance of amenities in a vibrant community atmosphere. 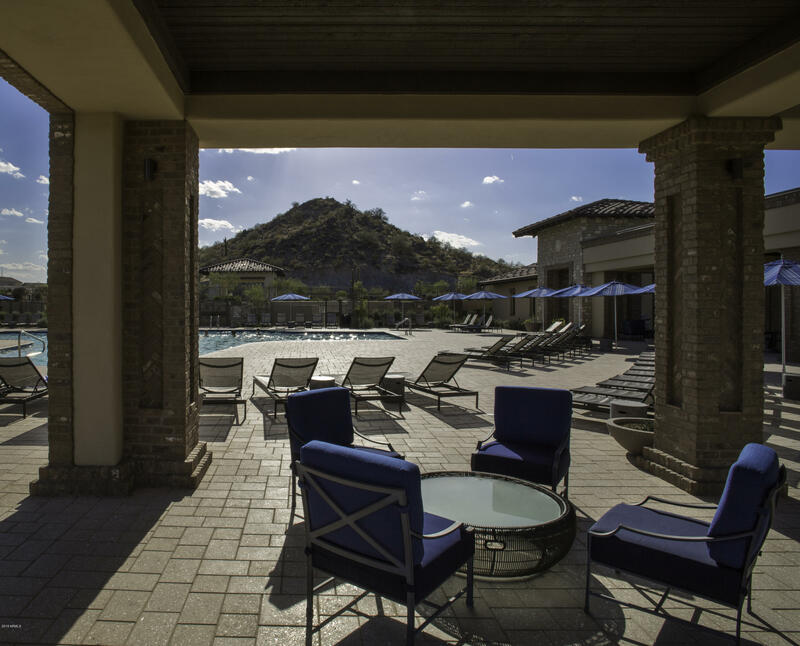 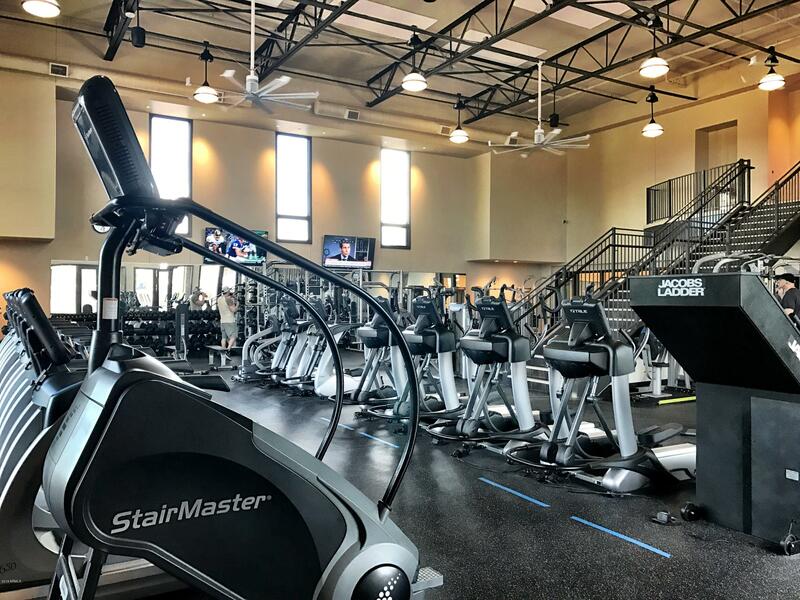 Two world class Residents Clubs feature pools, locker rooms, splash park, dining, fitness centers, gathering space and more. 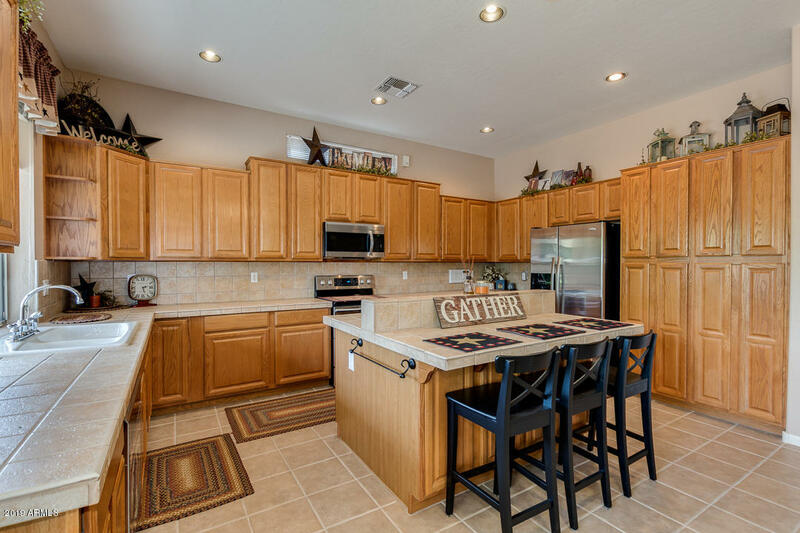 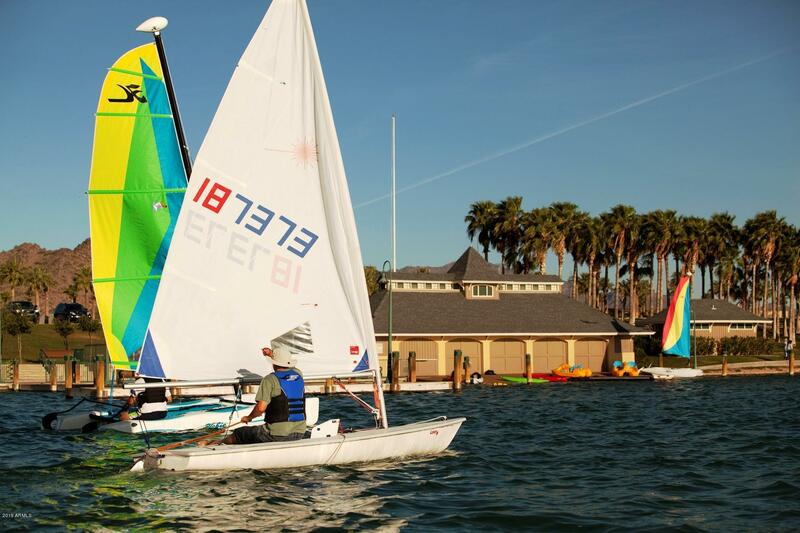 Two beautiful lakes feature over two miles of lighted walking paths, a "yacht club" with non-motorized boats for your enjoyment, catch and release fishing and outdoor recreation campus with tennis courts, picnic areas and a "beach". 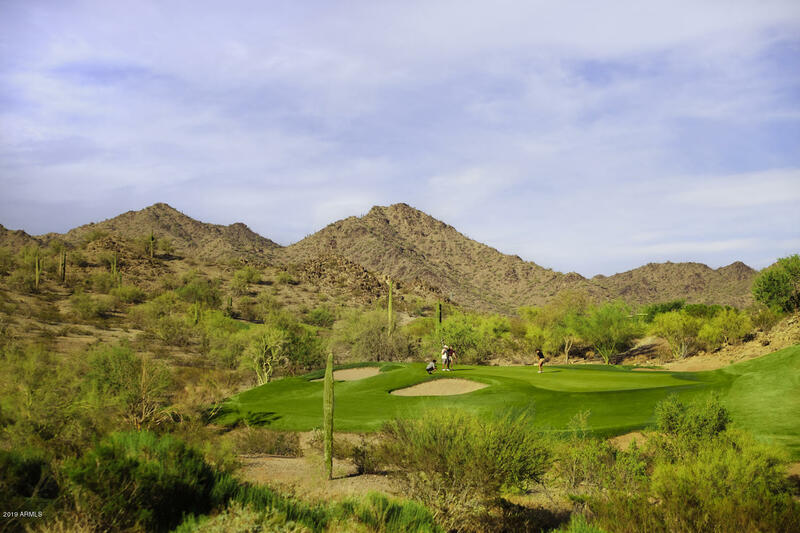 Nicklaus designed, Troon managed championship golf course is a big draw for golfers everywhere. 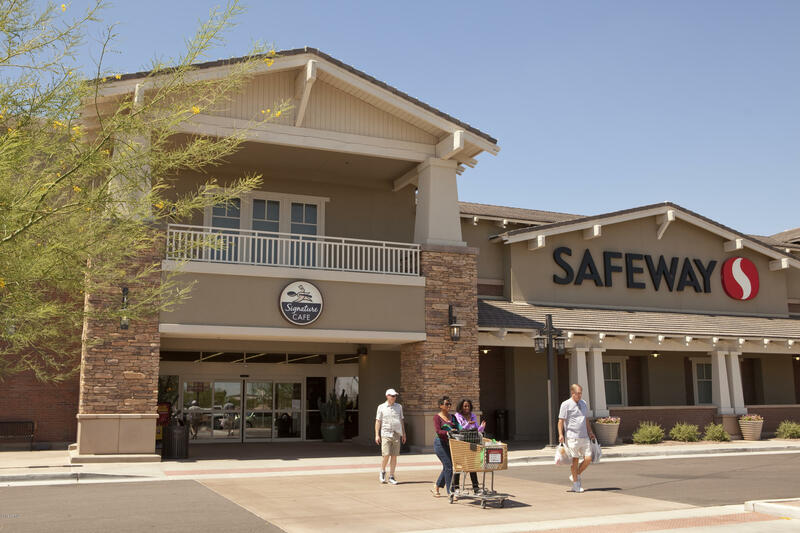 Entertainment for the community is second to none, with outdoor concerts, planned events, farmers markets and plenty of activities to plug into. 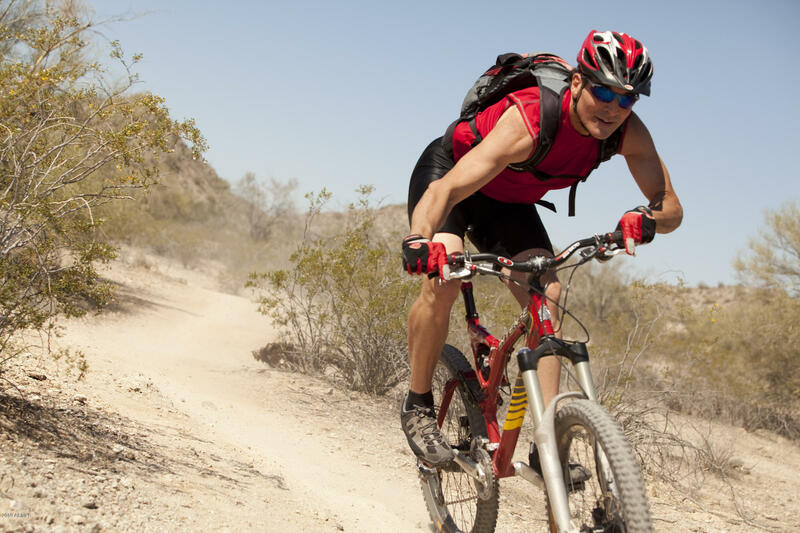 For the outdoor enthusiast, hiking and biking trails abound in Estrella. 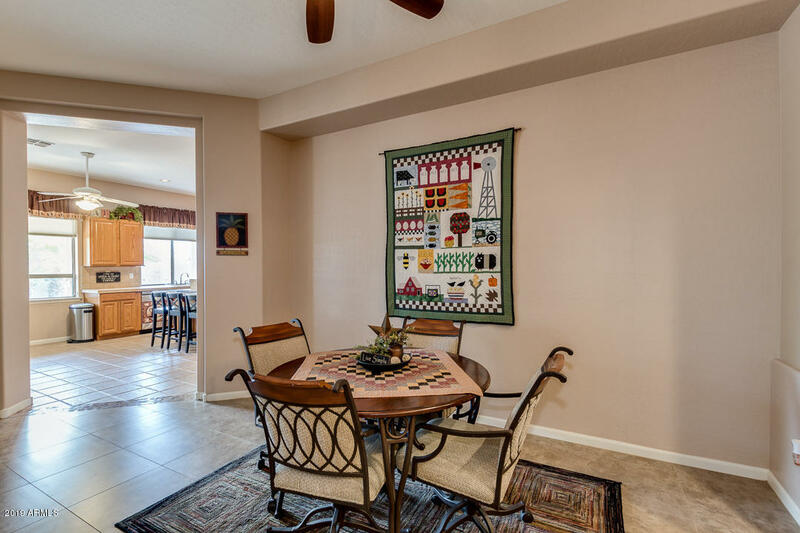 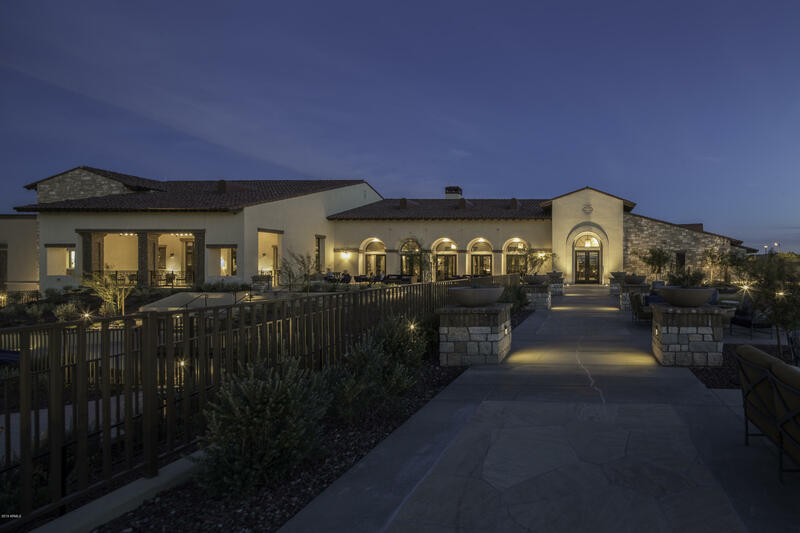 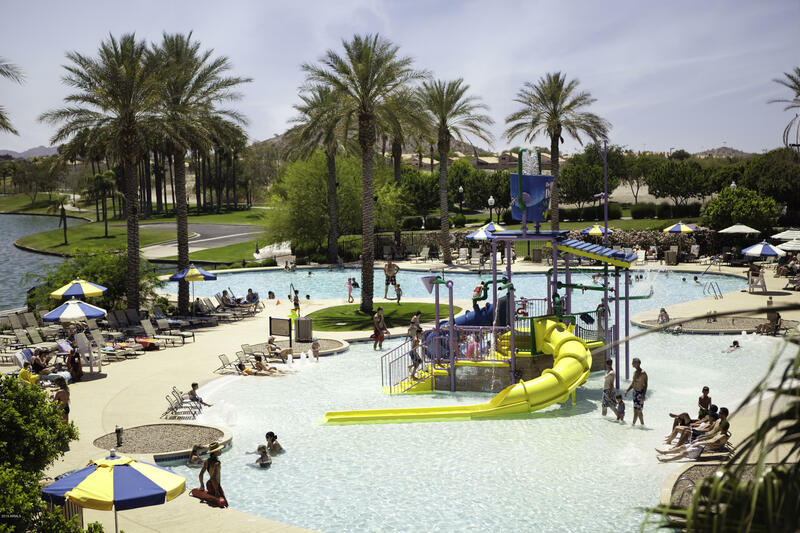 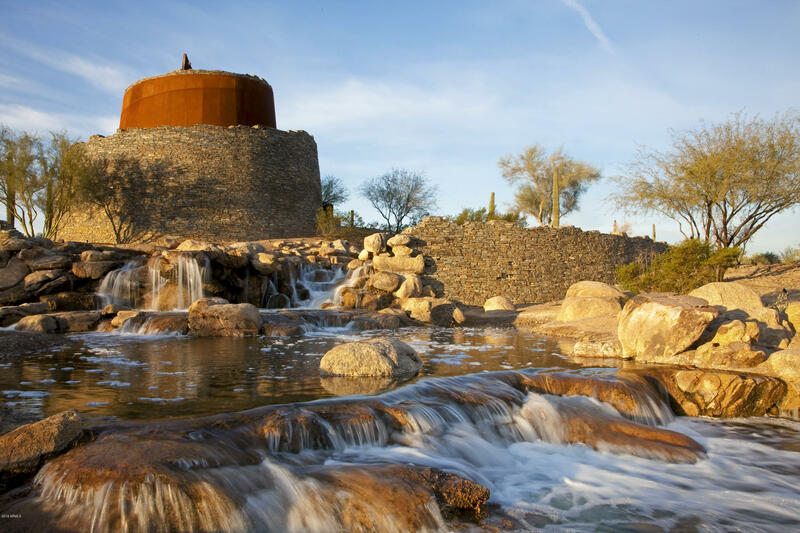 Great schools, shopping and dining make this amazing resort community the jewel of the west valley!